(Dec. 15, 2015) -- UTSA has joined the National Academy of Inventors (NAI), a non-profit member organization of more than 200 American and international universities, along with governmental and non-profit research institutions. Membership to the organization, which includes more than 3,000 individual inventor members and fellows, is by invitation. Founded in 2010 to recognize and encourage inventors with patents issued from the U.S. Patent and Trademark Office, the NAI enhances the visibility of academic technology and innovation, encourages the disclosure of intellectual property, educates and mentors innovative students, and translates the inventions of its members to benefit society. NAI membership supports UTSA’s mission to advance knowledge through top-tier research and discovery. UTSA has developed an innovation ecosystem that bridges student and faculty entrepreneurship training, prototyping, start-up competitions, venture mentor network, and investment opportunities, available to all UTSA students and faculty through the Office of the Vice President for Research and Center for Innovation, Technology and Entrepreneurship (CITE). An Entrepreneurs Academy™ that has grown to provide a support network across the entire UT System. 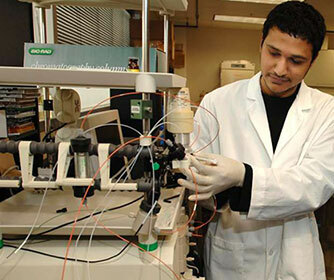 With an academic culture that encourages undergraduate research, UTSA also benefits from its 20 independent research centers and institutes. Hosting the top ranked Small Business Development Centers (SBDC) network in the country, UTSA generates a $1.2 billion annual impact on the local community. Learn more about commercialization and tech transfer at UTSA. Learn more about the UTSA Center for Innovation and Technology Entrepreneurship.